Will Apple’s New Music Service Benefit Artists? Apple’s new Apple Music streaming service is due to launch June 30, 2015. 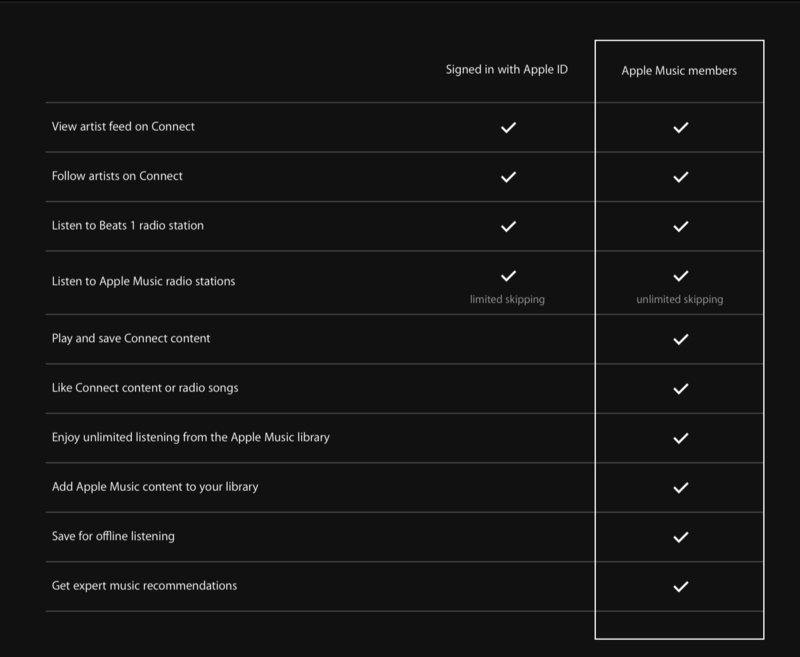 According to the website and Apple’s WWDC presentation, it will be bring together all of the various platforms on which consumers like to listen to music. 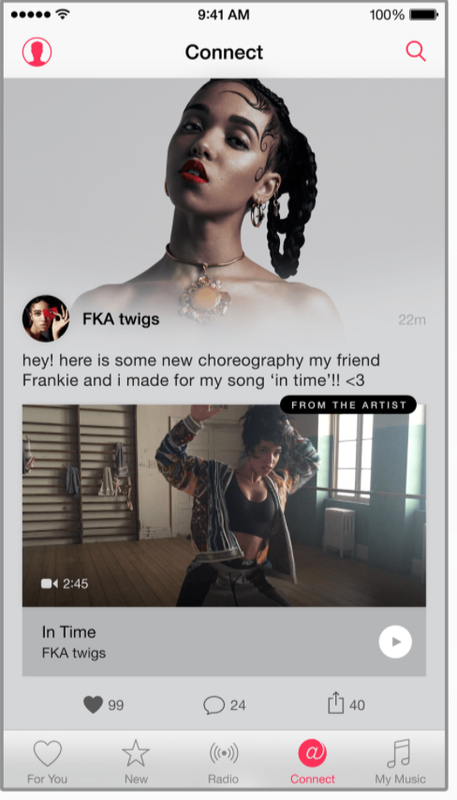 According to the company, it will feature music streaming, artist videos, a radio station, curated playlists and “Connect” messaging from artists. All of which will be available on all your devices including iPod, iPad, iPhone and Mac or PC for just $9.99 per month for an individual membership and $14.99 per month for a whole family, up to six people. Check out the features listed below and a screen shot of Connect, a feature which connects artists to fans. In short, Apple appears to be bringing together YouTube, Twitter, radio and music streaming under a single application. Streaming and YouTube are the two biggest music consumption platforms, and Twitter is how most artists reach out to fans these days. If Apple pulls this off, they will own the music industry once again. For consumers, this is a win. But, what does this mean for artists? Apple is currently pitching their service to artists as the ultimate place to “connect” with fans. What is conspicuously absent is any mention of monetary benefit to the artist. I have read that Taylor Swift is onboard with Apple, a moderately good sign in the light of her stand against Spotify. Additionally, it is a paid service. There is nothing free here, as I understand it. And I’m sure, as you read this article; frantic negotiations are underway with various labels, artists and music licensing services to secure compensation. That being said, I don’t see how it is possible for artists to benefit financially in any significant way. In my opinion, especially for the independent artist, the financial benefits will likely be negligible. $9.99 per month is just not a big enough pie for the industry to share, no matter how you slice it.